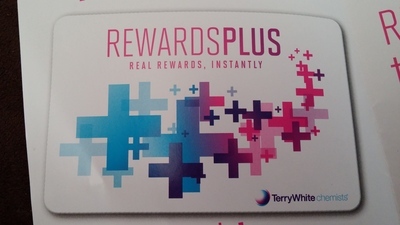 RewardsPlus is the loyalty program for Terry White Chemists. They offer 1 point for every dollar spent in store. This includes promotional and discounted products, but excludes dispensary items. How many different loyalty cards do you have in your wallet? One of the best features about the RewardsPlus program is that you do not need to have your card on you to keep collecting points and/or rewards. Terry White Chemists have a system where they can find your loyalty information simply by providing your mobile number - that means, more room in your wallet for the important things! In today's society, everyone wants everything now and the RewardsPlus program meets this brief. At the checkout, they'll add up your points and reward you instantly, in-store! So no more waiting around for vouchers to arrive in the mail! Voucher Offers delivered instantly to you on the bottom of your receipt. Do you teach your children about Valentine's Day? I have a new email address. Can I change the email address on line?